Before 1842, individuals set up schools on their properties and hired teachers for theirs and their neighbor’s children. The teacher charged the families 3 cents per child per day. One such school was the Highland Farm School on the Magill farm on Aquetong Road. School attendance and census records show that this school was integrated with at least two Black students. Edward Hicks Magill was the teacher for the school years 1841-1842 and 1842-1843. After that students transferred to the free school system run by the township. 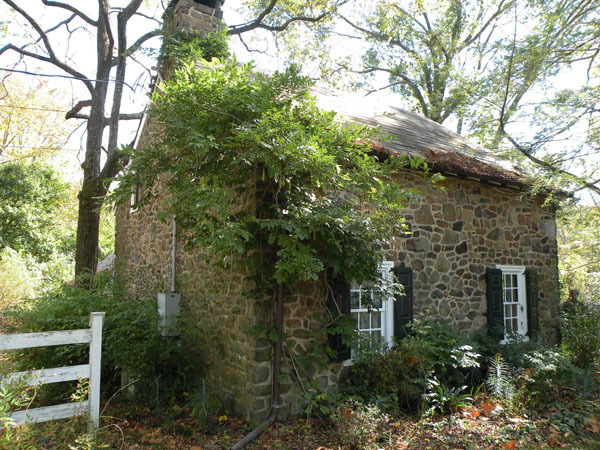 After about two years spent at Westtown, in the summer of 1841 I returned to my father’s farm. It was in the early autumn of that year, at the age of sixteen, that I first stood before a class as their appointed teacher. The scene was the unceiled low room of the wagon-house loft on my father’s farm. In my early years the free-school system had been adopted, and I was appointed teacher by the board of managers of my native township, and to these managers, and not to the parents, I must look for my monthly payments. In the earlier times, before the introduction of the free-school system, each parent or guardian received a bill from the teacher; these bills he must severally collect, the charge being three cents for each day’s attendance of each pupil. Of the work in the schoolroom, I may say that such work would astonish and confound any young teacher of the present day. Arithmetic was “ciphered” individually, on slates, without any class instruction or use of blackboards or charts, and the chief aim was to ‘get the answer,’ without much attempt at reasoning as to the processes employed to obtain it. In penmanship, the copies were “set” by the teacher’s hand, at the top of each page of the copy-book, and without any aid from printed or engraved slips or copies. Steel pens, too, were not yet in common use; quill pens were almost universally employed. As teacher of the art of penmanship, I see myself now, walking about the small, low-ceiled room, criticising the forms of the letters, keeping the pens mended, penknife in hand, with a bunch of new-made pens sticking behind my ear. The discipline was generally maintained in those days by the fear of corporal punishment, though some of us teachers refrained from this, except in a few extreme cases. In some instances dismissals for misconduct were made, but as the schooling was paid for out of the school-tax, there was often a contention on the part of parents and teachers as to whether the latter could dismiss, or even suspend, a pupil from a free school. Although these things may seem trivial and unworthy of note, in practice in that early time they sometimes presented to teachers insoluble difficulties. But to return to my first winter’s teaching, in 1841-42: I followed the usual practice of that time, working on the farm in the summer, teaching only in the late fall and winter months, and closing in time for corn-planting and other farm work in the spring. From the opening of the school I engaged with my pupils in games of ball, snow-balling, etc., during the recess, just as one of them, but was careful to put on the serious and resolute schoolmaster’s face when I rang the bell for them to reassemble. This acting a double part, as master and student, was made all the more difficult because my pupils were my own personal friends, relatives, and near neighbors, and a number of them, both boys and girls, were my seniors by several years. 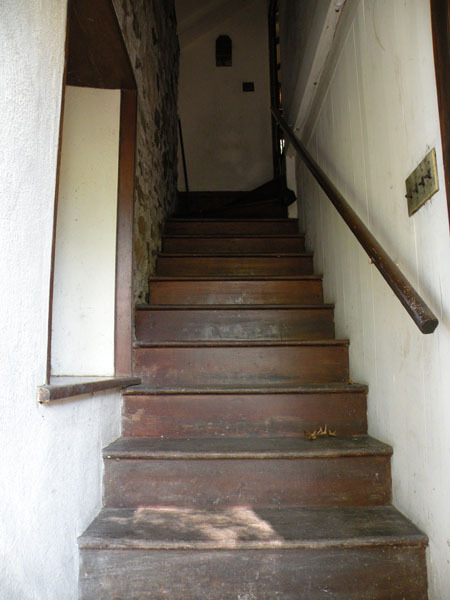 A few years ago, when on a visit to the old Solebury farm,—still retained in the family,—I went up the old, steep, rickety steps to the wagon-house loft, now used as a tool-shop, and looked out from the south windows over the narrow limits of the lane, where the ball-ground was. On the top of the lower frame of the window I saw still the marks of my penknife, where I had constructed a species of home-made dial. Having no watch of my own at that time, I borrowed one from a student, and by it noted and marked the shadow falling on sunny days upon the lower frame, indicating by a notch the hour for the opening and closing of school, and for the recesses in the morning and afternoon. Of course these marks did not indicate quite the same hour at different seasons, but they answered their purpose for those two winters, and, for aught I know, are still there on that lower sash to tell the tale of more than half a century ago. Two winters were thus passed. 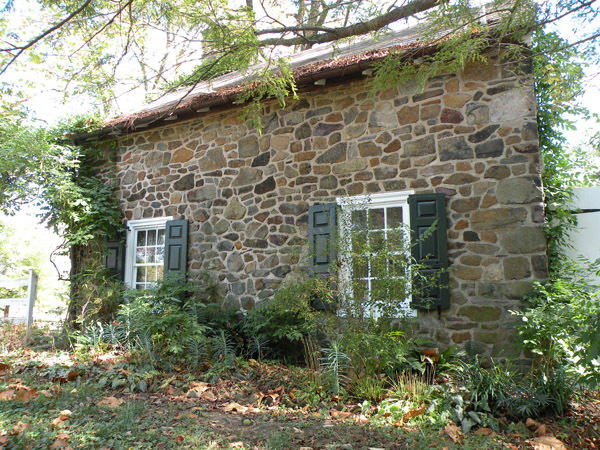 For the winter of 1843-44 I accepted an offer from the school board to take charge of the school at the Friends’ meeting-house in Solebury, about four miles from our house. That being too far to walk each day, I took board with a pleasant family of Friends near the meeting-house, and walked the four miles only on Second-day (Monday) mornings and Seventh-day (Saturday) evenings, for I took my First-day (Sunday) board at home. This year’s experience—the third—was much like that of the first two years at home. 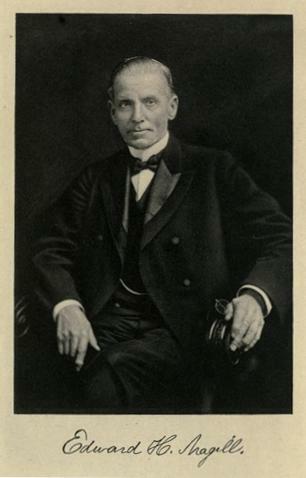 Excerpted from Edward Hicks Magill’s Sixty-five Years in the Life of a Teacher, 1841-1906, Chapter II, Pages 8-12.